Helping You Achieve Beautiful Healthy Smiles for the Whole Family! Pearly Whites Mobile Dental Hygiene Services is a new business in the Ottawa Valley providing mobile dental hygiene care to clients in the comfort of their home, long-term care facility, or work, school, daycare or community health centre. Our goal is to help you achieve your optimum oral health, for a better quality of life. We provide an alternative for hygiene care outside the traditional dental setting, benefitting those with busy schedules, limited mobility, and the uninsured. 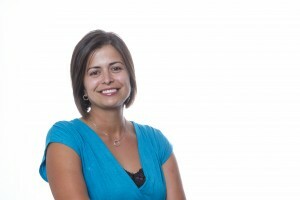 Pearly Whites Mobile is owned and operated by Leilani Borne, a registered dental hygienist with more than a decade’s experience working in dental clinics throughout the Ottawa Valley. She is a member of both the Canadian and Ontario Dental Hygienists Associations, holds CPR and first aid certification, and follows stringent standards set by the College of Dental Hygienists of Ontario to ensure clients receive safe and comprehensive oral hygiene care. Located in Pembroke at 24 Dawson Drive. Dental hygiene appointments can either be at her beautiful home based clinic or in the comfort of your own home. Leilani is now booking out of Active Chiropractic Family Health Centre located in the east end of Pembroke at 1169 Pembroke Street East. Mondays 8am – 5pm by appointment. The first Wednesday of the month at Riverview Heights in Pembroke, and providing services to Caressant Care Cobden. She also provides dental hygiene services to employees at their work site. If you are interested in a mobile service, call to book your appointment today! The mother of two young daughters, Leilani loves providing dental hygiene services to kids. Children are an important part of our practice, as we believe that proper dental health should start early. Having a young family of her own, Leilani realized how important balancing work with family life is and wanted to practice in her beliefs and values. Leilani loves her job as a hygienist and is excited to offer this mobile service to her community. She has a great relationship with her clients and you will be guaranteed to have her as your hygienist every time! Pearly Whites Mobile is now accepting new clients and appreciates referrals of family and friends. April was Oral Cancer Awareness Month, but it is still important to keep Monitoring! The War on Biofilm a.k.a. bacterial plaque!! Gift From The Heart 2014 an AMAZING day! Protect Your Little Athlete With a Custom Fit Mouth Guard! Fall Showcase Petawawa 2013 a Success!